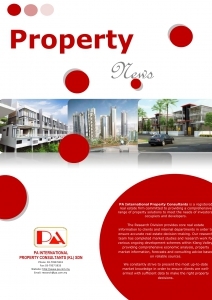 PA International Property Consultants Sdn Bhd is a full service Chartered Surveyors and Registered Valuers firm. Established in June 1980, the Practice has grown into a nationwide network of 10 offices – Kuala Lumpur, Johor Bahru, Segamat, Kluang, Batu Pahat, Klang, Penang, Ipoh, Seremban and a representative office in Ho Chi Minh City, Vietnam. Plans are underway to extend our network to East Malaysia as well as form alliance with an overseas partner.